We offer greate rates on packaging and insurance! 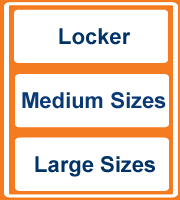 Our popular Easy Packs save you money and make self storage easy! ROOM+ low insurance rates means insuring your things during transport and storage is easy. Our prices start from just HK$36 for HK$20,000 of cover. Our different premium rates allow you the flexibility to choose the sum insured that best suits your needs. The premium is added to the rental for the unit and paid monthly. Coverage is available for household goods, personal effects, wine, commercial equipment and other property such as photographic equipment, video equipment, personal computers, antiques or works of art. Property covered is subject to a limit of HK$25,000 per article. materials. All items are available on-site.